Seth Modersohn credits soccer for developing his self-confidence, respect for hard work, creativity, and strong sense of discipline. 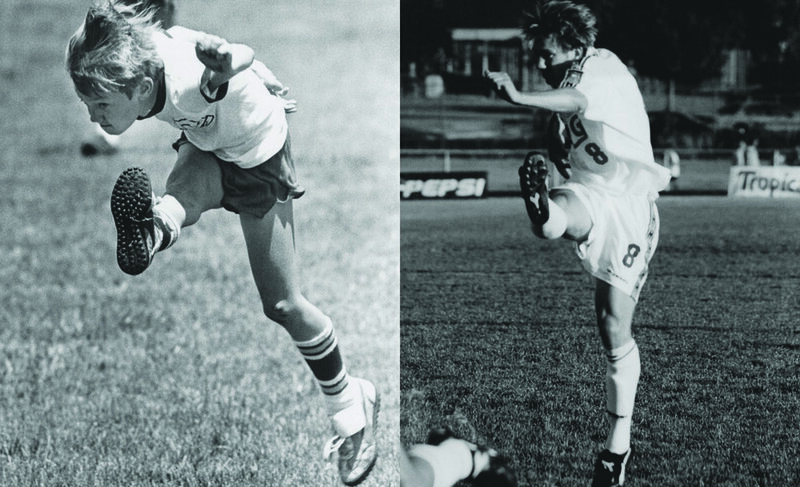 Soccer has functioned as a support system for hard times, such as his mother’s struggle with and death from cancer during his college years, but it has also been a source of pure joy. 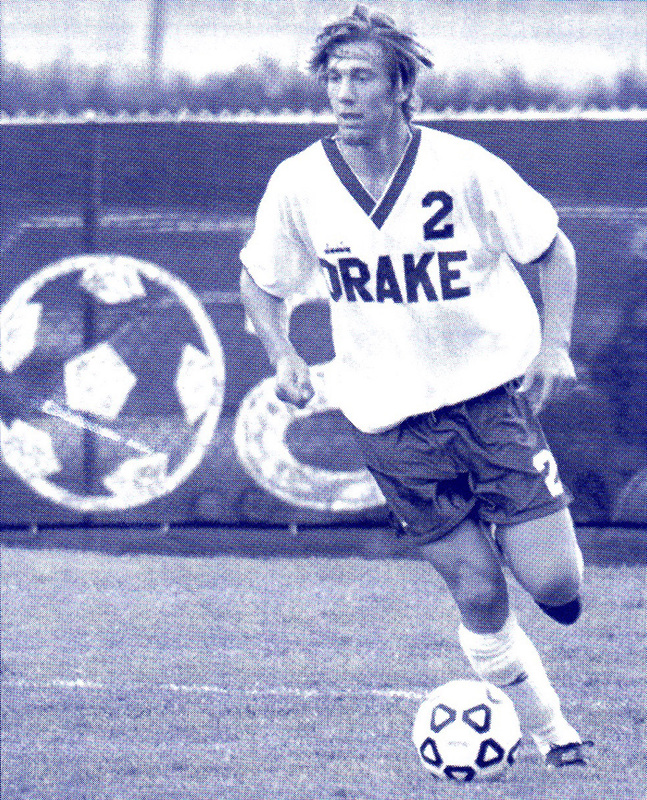 Seth was first drawn to soccer as a young boy in Des Moines, Iowa. On Saturday mornings he’d watch a few cartoons and then head over to the elementary school practice field, cutting through neighbors’ backyards—the shortest route to his passion. His mom always told him, “do what you love and the rest will come,” and Seth has followed her advice. Soccer, his first love, has been a lifelong pursuit. That early dedication led Seth to a spectacular high school career as he captained his team to an undefeated four-year record (86-0). 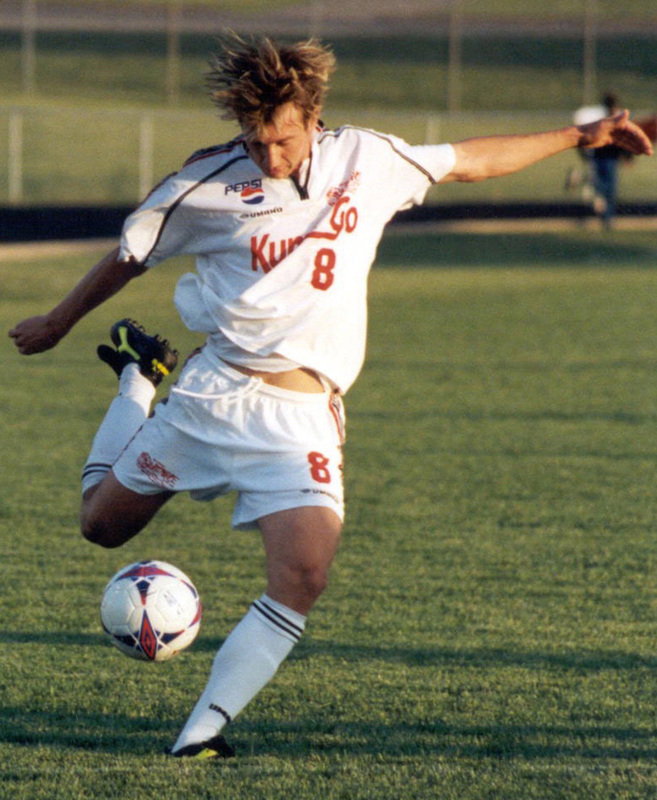 He was also a team captain and MVP for his Drake University team and went on to play professionally for eight years for the Des Moines Menace in the Premier Development League. 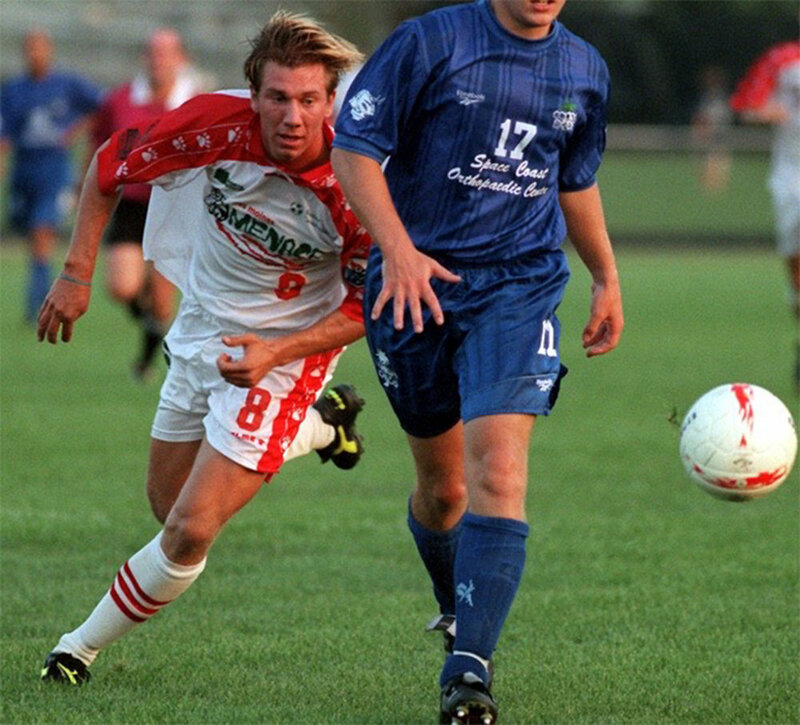 Seth was the team’s all time leader in wins/goals/assists and local media lauded him as a fan favorite. Fans appreciated Seth not only for his prowess on the field, but for his work with kids in the community. By this time, he’d begun teaching the skills, techniques, and all-around benefits of the game to younger players. The kids learned to play better and enjoyed themselves. 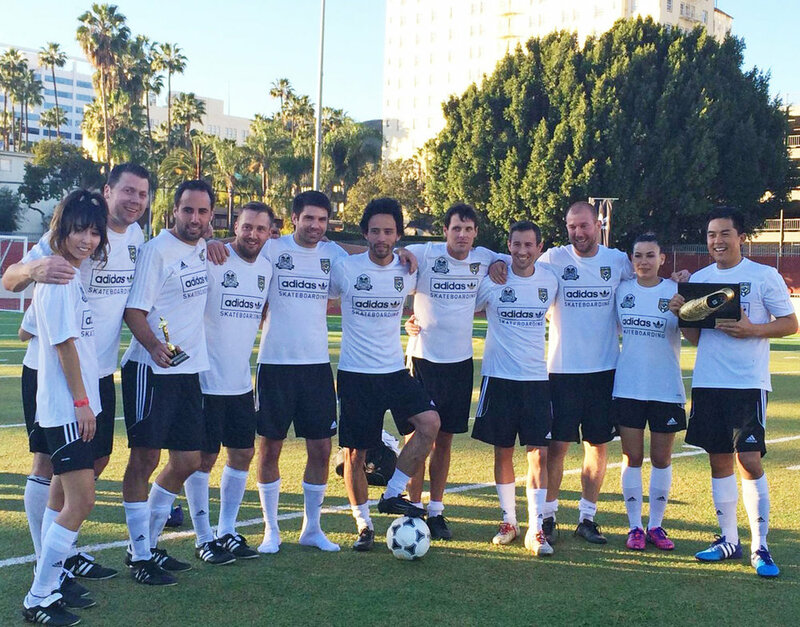 Soccer, Seth says, is simply a tool to sharpen character, bring people together, and have fun. 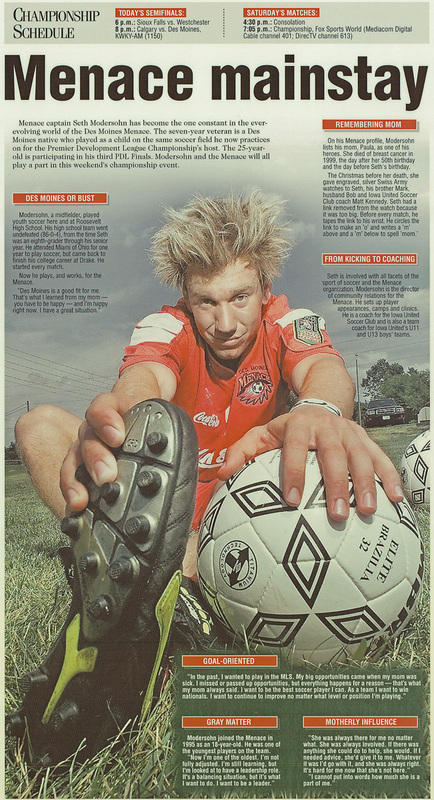 Developing alongside Seth’s love of soccer was an eye for fashion. The son of an artist and a photographer, Seth has a strong visual style. It’s no surprise to his friends and family that he could recognize all of the students in his high school by the shoes they wore. Eventually, Seth was drawn to the fashion scene in California, where he worked for the trend-setting premium denim company Rock & Republic for 7 years before becoming a consultant for luxury, streetwear and fashion brands. Seth has worked with Nike on artist collaborations, events and product development, including projects for the movie Creed, Women’s World Cup, Sundance Film Festival, NBA All-Star Weekend, comedian Dave Chappelle and artist Eminem. He has also teamed up with some celebrities such as Snoop Dogg, Robbie Williams and UFC fighters on their personal passion projects. Sethmode now combines Seth’s love of soccer and fashion. 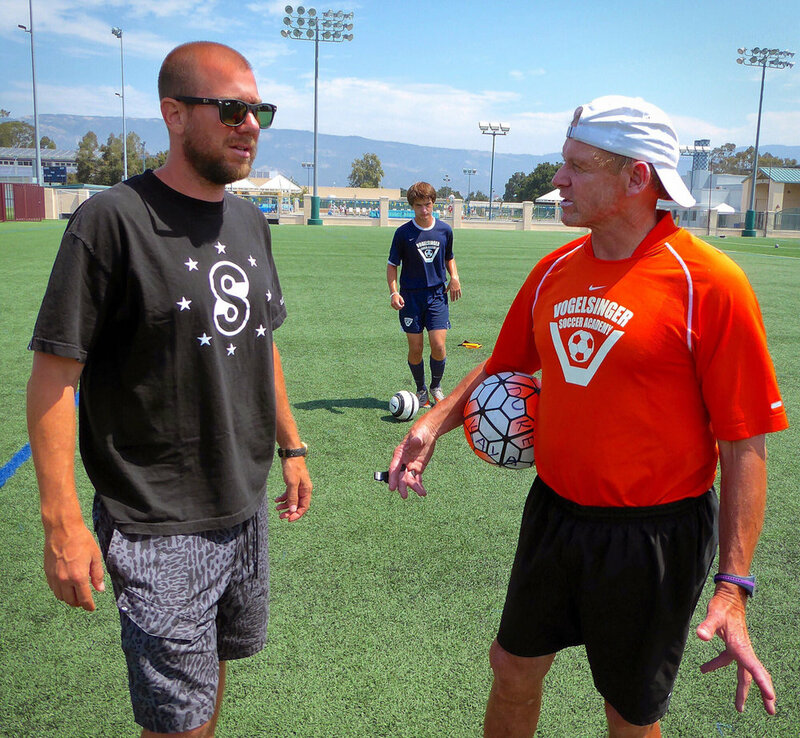 The foundation of Sethmode is a philosophy that aims to create a community and culture around soccer that will open minds, breakdown stereotypes, eliminate egos, embrace diversity, spread positivity and promote love. Sethmode is emotionally and physically enriching. Sethmode exists to give the skills and self confidence to grow and discover happiness through soccer. • Paul Morrison Scholarship Winner - Student athlete majoring in journalism who demonstrated excellence on/off the field. • Orphaned Starfish Foundation > Address challenges facing 10,000+ orphans, victims of abuse & at-risk youth in 21 countries. • Athlete Connect > Educating kids about tobacco (American Lung Association). • Junior Achievement > A program that educates & inspires young people to value free enterprise, business & economics. • Literacy Army > Mentoring program for kids in need. • Big Bro Big Sis > Mentoring program for kids in need. • Character Counts > Speaking to schools about the building blocks of citizenship. • Special Olympics > Visits to special events. • Boys & Girls Club > Visits to special events. • Variety Club Telethon & Young Variety > Raise money for underprivileged kids. • Drug Abuse Resistance Education (D.A.R.E.) > Head guest speaker for program graduation. • Hospital visits > Reading with kids. A portion of all Sethmode proceeds go to the Paula Modersohn Foundation!